In the very recent past I have posted 2 reviews for Simply 7 chips. 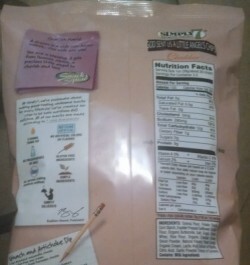 Simply put, the Simply 7 chips are delicious, nutrient-packed, all natural chips. The Quinoa chips are our favorite out of all of them! 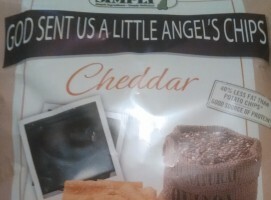 My husband and I almost ate an entire bag of the cheddar chips in one day! They’re crunchy, light and are almost like a “Bugle” I use to love those when I was a kid. There are 4 flavors which include sea salt, barbeque, cheddar and sour cream & onion. Cheddar is our favorite flavor. Simply 7 is proud to offer a non-GMO, gluten-free chip made with all-natural ingredients (lentils, quinoa and chickpeas). Be sure to check out my review of the hummus, lentil and pomegranate chips and the quinoa chips to get the total scoop on these delightful, delicious, all natural chips! 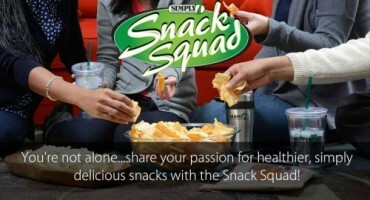 Simply 7 recently put together an awesome ambassador program called the Simply 7 Snack Squad! If you have a lot of friends and family members who like to discuss different snack options, you must join the Snack Squad! 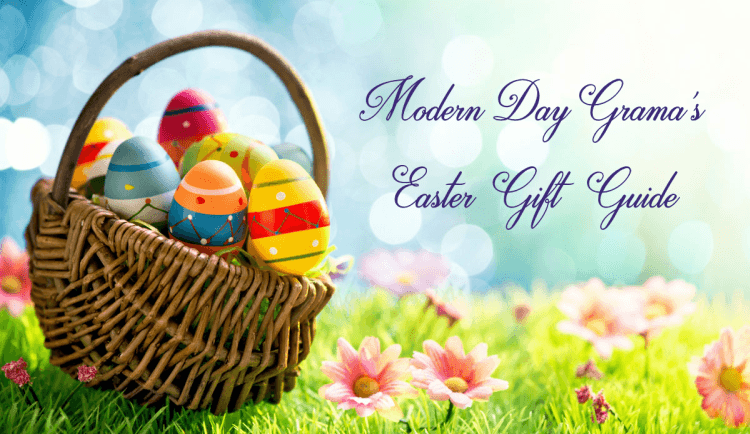 Becoming a member is free and as a member you will receive exclusive coupons, some fun Simply 7 swag, updates on Simply 7, a birthday surprise and a chance to win a personalized bag of Simply 7 chips! 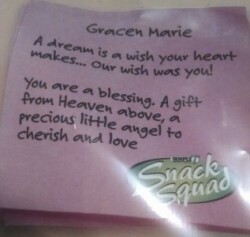 Now I know you’re probably wondering what would you do with a personalized bag of chips! Is it for bringing with you on a camping trip so no one will eat them? LOL Nope! A personalized bag of chips is the coolest thing ever. 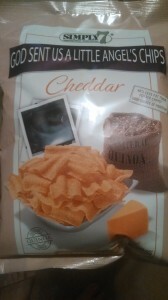 Here is my Simply 7 bag of chips (we LOVE the cheddar Quonia Chips!). When everyone saw this bag of chips they all thought it was very cool! 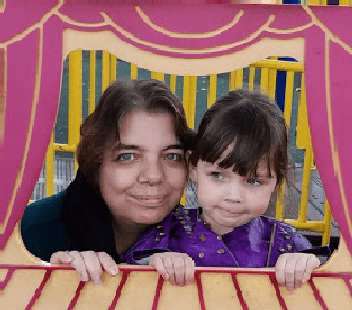 My daughter had tears, because I did this bag in my granddaughter’s honor. 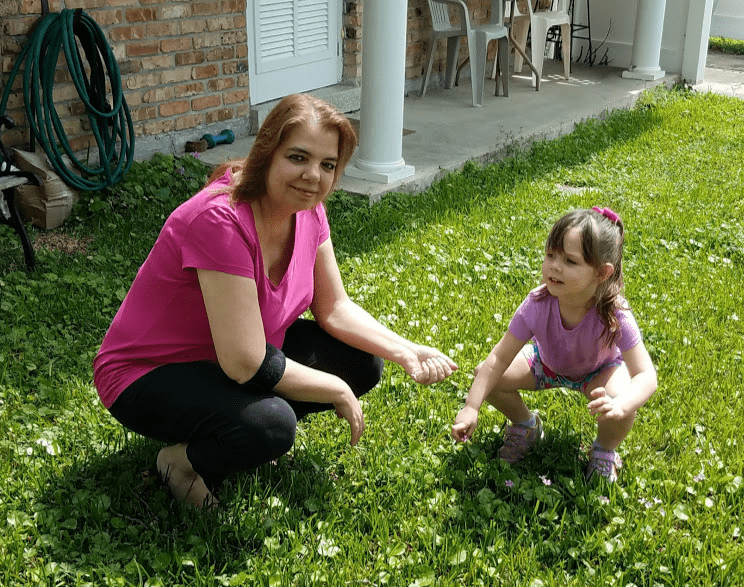 She’ll be here in about 5 more weeks and for the last 6 – 7 months that’s been my focus, all baby! LOL So I did the title “God Sent Us a Little Angel” and a picture of the 10 week ultra sound. A wish is a dream your heart makes and our wish was you! A personalized bag is a fun and unique way to introduce these delightfully delicious all natural chips to your friends and family, or as I did give as a great gift! Be sure to join the Simply 7 Snack Squad now! Learn more about the Simply 7 products by visiting them on Facebook and Twitter!